During my trip to Waco, I found these awesome sculptures while I was out with my family. 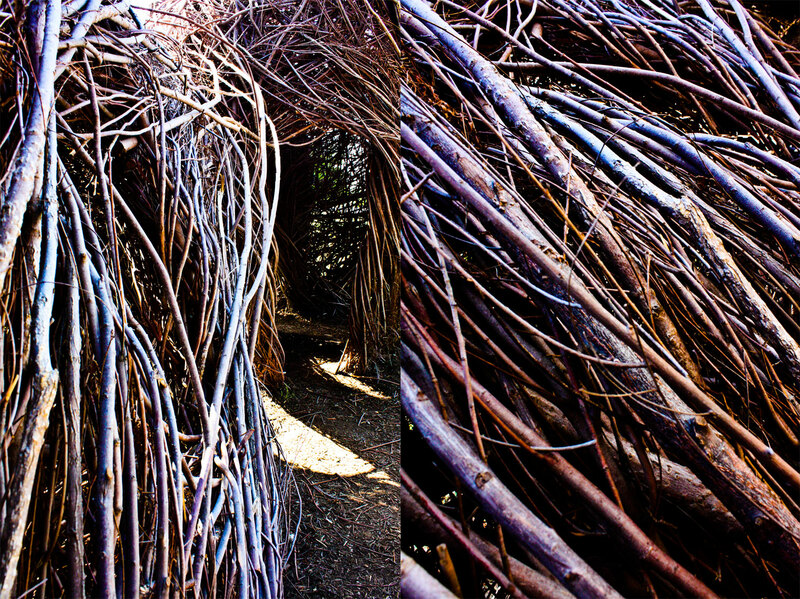 They are called River Vessels by Patrick Dougherty and were created to show primitive ways in an accelerated world. Each structure was made entirely out of willow branches with out any form of glue, nails, or twine. How awesome is that?! The site was breathtaking. I was like a giddy child running around them, snapping pictures as I went.